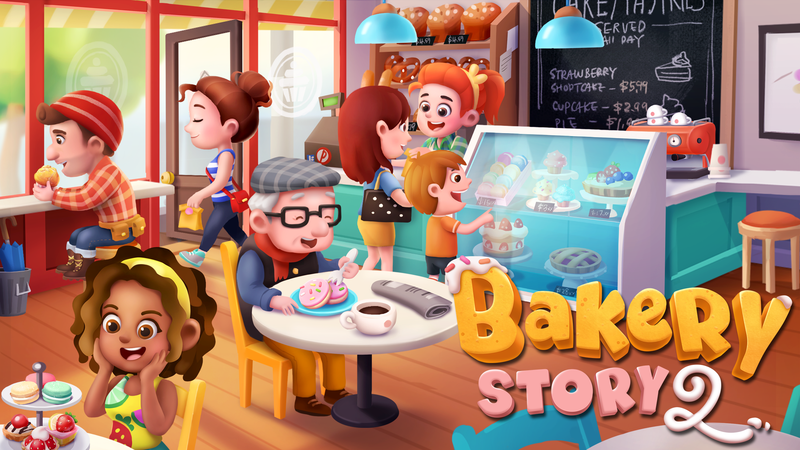 Learn how to become a Bakery Story 2 master with these suggestions straight from the devs themselves! Bakery Story 2 is a time management/sim game that lets you put together the bakery of your dreams. It also happens to be super cute. We've got some tips and tricks here straight from the developers themselves for you to utilize and ensure the next time you play you get a whole lot more done. Bon appetit! Watch your customers. If customers are being turned away, it means that you don't have enough seats in your bakery. Expand and add more tables and chairs to serve more customers and earn coins faster. Always get the new appliances and recipes when they become available. Each new recipe you unlock has a larger payout than the last. Sometimes unlocking a new recipe may seem like a big investment, but you will make up for it in a short time. Customers continue visiting your bakery even when you're not playing, so try to have lots of baked goods on your counters before you stop playing. When you come back, you'll have earned a lot of coins! Upgrade your Grocers as soon as you can. You'll be able to get ingredients faster, so you'll be able to bake more and more often. Fill To-Go Orders to earn parts. Parts allow you to upgrade your Grocers and Pantry, and they let you grow and expand your bakery. Filling To-Go Orders is the best way to get these parts. To-Go Orders also sometimes reward lucky players with premium gems, which can be used to buy exclusive decorations. Keep on top of your quests. Completing quests is an excellent way to earn experience points, so you can level up faster and discover more recipes. Quick Serves are a powerful way to speed up baking times. They can be obtained by connecting to Facebook and requesting them from your friends. You may also occasionally be awarded a Quick Serve from completing To-Go Orders. Use them, especially on recipes with long bake times! Before you log out, try to have all of your appliances baking recipes (especially your newest recipes). This will allow you to serve lots of baked goods the next time you log into your bakery, which will give you more experience points and coins. Try to keep your Mixer appliance active at all times to make lots of ingredients, like Sugar Frosting or Fruit Preserves. Lots of To-Go Orders and quests ask for baked goods that require ingredients from the Mixer. If you have some of these saved in your Pantry, you'll be ready to bake those tricky recipes like Frosted Chocolate Brownies right away. Every month, there is at least one event that takes place. Events only last for a limited time and allow you to bake delicious holiday themed treats. Some of these limited time treats also provide lots of coins when you bake them, so try to participate to make more money for your bakery. Events also provide your bakery with exclusive themed decorations that you can use year-round. Make sure to grab these items before they're gone. Otherwise, you may have to wait until next year for a chance to get them again. There are many ways to play Bakery Story 2. Whether you enjoy decorating, discovering new recipes, mastering the art of keeping your customers happy, or becoming friends with the characters and taking part in their stories, play the way that best suits your style!